International valuation company Opteon has been recognised by the Australian Property Institute, with three finalists in the first National Excellence in Property Awards. The Awards celebrate outstanding achievement across the national property industry, with entries open to individuals, groups and sector projects. 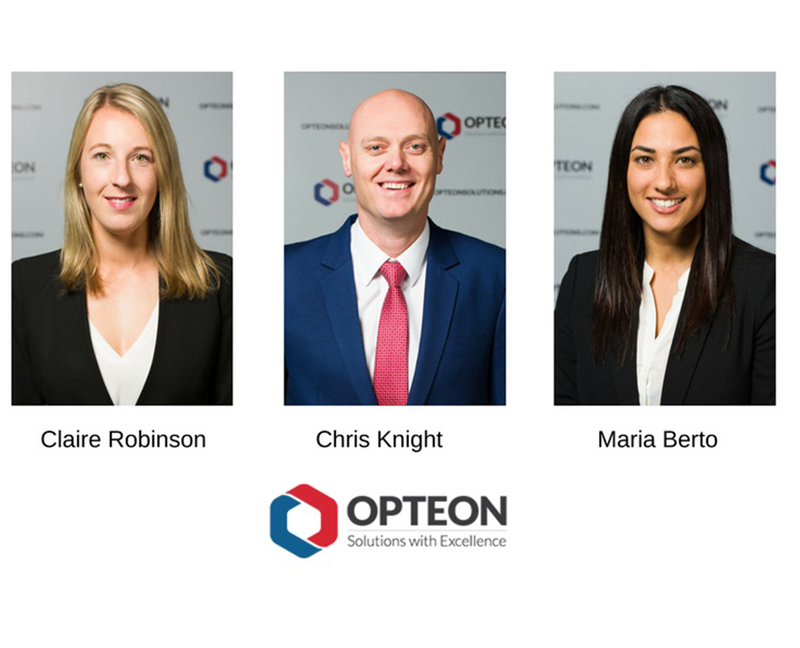 Among the 2017 shortlist are Opteon Chief Executive Officer, Chris Knight for the Property Industry Award and Regional Manager – Southern Victoria, Maria Berto, and Associate Director, Western Australia Claire Robinson in the Young Achiever of the Year category. Commenting on the awards, Mr. Knight said while it was a career highlight to be personally recognised, industry acknowledgement in the Young Achiever of the Year category was a true honour. “To be shortlisted in these categories not only reinforces Opteon’s industry leadership position, but illustrates the depth of talent in our organisation, and the dedication all our people bring to work each day. “Congratulations to Ms. Berto and Ms. Robinson on becoming finalists in the 2017 National Property Excellence Awards. It’s brilliant to see their drive, vision, and work ethic celebrated in this way and I wish them luck on the big night. “I also thank the Australian Property Institute for my place on the shortlist, and their continued support of the industry at large.”, Mr. Knight said. Winners of the National Excellence in Property Awards will be announced on 6 October 2017, as part of the Gala Dinner and Awards Presentation at the Grand Hyatt, Melbourne.